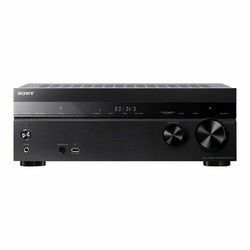 Purchasing a feature-rich, advanced AV receiver that is still not very expensive is the objective that is worth pursuing. 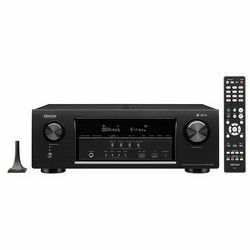 Therefore, let’s compare Denon AVRS730H vs Sony STRDH770 that are the innovative and high-performance devices. Which amp sounds better? What are the essential features and technologies and which ones can be compromised? The Denon amplifier is more feature-rich versus its Sony counterpart. It supports multiple formats, but are they really essential? The innovative decoders like Dolby Atmos and DTS:X the Denon receiver has are definitely beneficial for the perfect sound experience. On the contrary, Sony uses DTS-HD and Dolby True HD technologies. As to the HEOS streaming technology, it is more advanced, but still less efficient and easy to use that the Google Chromecast the Sony model supports. Surround and 3D effects are enabled with Sony STRDH770. However, this device has no multi-room support. As all Denon devices, the AVRS730H model comes with the maximum number of connections, inputs and outputs. However, the Sony home theater users admit that the device comes with the sufficient number of ports. Its connectivity to multiple formats, such as MP3, AIFF, WMA, etc. are enabled through the front-panel USB port. Its wireless connection is possible due to Bluetooth and NFC technology (Near Field Communication) that is one-touch and intuitive. The SongPal app is applied. As to the setup process, it’ commonly easy, but the Sony manual takes some hours to initiate the operation, and some users don’t like the remote that has too many buttons. As to the Denon amp, customers like its customizable inputs, but not the remote that is commonly not necessary, as other types of control, for example, by Wi-Fi are preferable. The Denon device provides accurate auto calibration, as well as the Sony receiver, but the online manual for the AVRS730H model is too long, including 279 pages. In terms of sound quality, Sony STRDH770 is the undisputable winner versus its Denon counterpart. It is more powerful, producing a louder sound that is mild, natural and 3 dimensional. Additionally, the video quality and colors are the best in HDR (High Dynamic Range) format. When we compare the Denon’s sound to the Sony performance, it’s good both for movies and music, but insufficient. Denon A/V receiver is feature-rich and advanced. It comes with a lot of inputs and outputs, offering multi-room support and great music streaming technologies. On the contrary, Sony STRDH770 vs Denon AVRS730H is more powerful and high performance. It produces loud, natural, 3-dimensional sound, offering great listening experience to the users. The home theater is high-performance and powerful, offering good sound and excellent video quality. It has the decent amount of inputs, ports and outputs that are still sufficient for most users. However, it has no network connection and multi-room support. The home theater is advanced and feature-rich. It comes with multiple ports and innovative technologies, supporting a lot of available formats, including DTS:X and Dolby Atmos. It features multi-room opportunities and intuitive auto calibration. However, the device is not powerful enough and its sound quality is good, but not loud enough.